Although he skated in a grand total of 37 games with the Kelowna Rockets, it proved to be the perfect launching pad to an NHL career and an Olympic roster spot for one of hockey's most respected defencemen. It was easy to see why the Michigan State Spartans and several other suitors were interested in having Duncan Keith play hockey for them. Though he was smaller, at least in terms of weight, than those he skated with and against, the blueliner possessed a heavy shot and plenty of offensive firepower. Recruited by Michigan State University, Keith played collegiate hockey there for two campaigns. He scored a goal in his Spartans debut in the Cold War, an outdoor game at Spartan Stadium against state-rival University of Michigan Wolverines, on October 6, 2001. He completed his freshman year with three goals and 15 points in 41 games. During Keith's second college season, he left the Spartans after just 15 games to join the major junior ranks in British Columbia. Bruce Hamilton, president, general manager and governor of the Kelowna Rockets, was certainly glad to have Keith on the roster. It meant Keith, who originally started out as a forward before switching to defence before he turned 10, had to adapt to a more physical style of play. It also meant he had to alter his offensive-based approach. It also made him a top-notch prospect to make the step to the next level. Selected by the Chicago Blackhawks in the second round, 54th overall, of the 2002 NHL Entry Draft, Keith signed with the club prior to the 2003–04 season and spent his first two seasons after junior in the American Hockey League (AHL) with the team's affiliate, the Norfolk Admirals. Following his time in the AHL, Keith made the Blackhawks out of the 2005 training camp. He played in his first NHL game on October 5, 2005, against the Anaheim Ducks. He made an immediate impact at the game's elite level, scoring nine goals and 25 points, while averaging over 23 minutes of ice time in 81 contests during his 2005–06 NHL rookie season. The Blackhawks obviously liked what they saw in Keith and re-signed him in the off-season to a five-year contract extension. None of it surprises Hamilton in the least. praised Hamilton. “Even when he was with us, he probably weighed 165 pounds, but he could fire that puck. And now, he weighs around 190-195 pounds and he's become a complete player. The numbers definitely don't lie. In 2006–07, Keith played in all 82 games for the Blackhawks and once again led the team in average ice time with 23 minutes. He had two goals and 31 points, but the statistic that really must have brought a smile to Hamilton's face was in the blocked shots category, a team-leading 148. By mid-January of 2007-08, Keith was averaging 24:31 minutes of ice time and had a team-leading plus-14. He was selected to his first NHL All-Star Game in 2008 and went on to finish the season with 12 goals and 32 points, along with a lofty plus-30 rating. On October 8, 2008, Keith was named an alternate captain along with forward Patrick Sharp to the start the 2008–09 season. He helped a rejuvenated ‘Hawks team return to the playoffs, after recording eight goals and 44 points in the regular season, along with a stellar plus-33 rating, tops among all defencemen and tied for fourth overall. Keith added six points in 17 post-season games as the Blackhawks advanced to the Western Conference Finals, where they were eliminated by Central Division rivals, the Detroit Red Wings. On December 3, 2009, the Blackhawks extended Keith's contract. His deal was a 13-year, $72 million contract, making it the richest in team history. Twenty-seven days later, Keith was selected to play for Team Canada at the 2010 Winter Olympics in Vancouver. 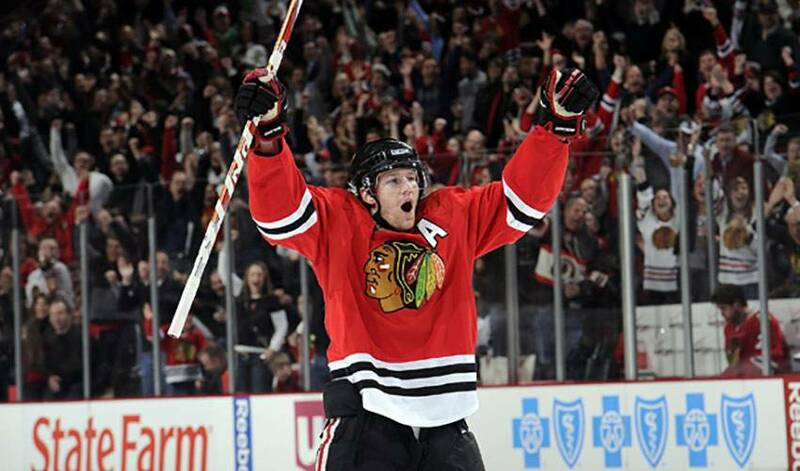 He was named to the squad along with defensive partner Brent Seabrook and another teammate, Jonathan Toews. Keith is no stranger to playing on the world stage. He made his international debut for Team Canada came at the 2008 World Championships and notched two assists in nine games as Canada won a silver medal, losing in the gold medal game to Russia. Hamilton believes that decision to come to the Rockets was a pivotal move in Keith's career. But not only for the player, one that is closing in on 400 career NHL regular season games. Some might say it was as good as gold. Duncan Keith: Bears. Beets. Breaking Bad.